Tolls are now in force on the new Runcorn - Widnes bridge. Dedicated cameras on the toll gantry will scan vehicle number plates and Merseyflow stickers. So far over 82,000 vehicles have been registered for discounts on tolls, and you can still register now, or pay for one-off crossings in advance or by 11.59pm the day after you travel. The quickest way to register is online using www.merseyflow.co.uk, but you can also register in person at Merseyflow's Runcorn walk-in centre, or over the phone on 01928 878 878; both are open 8am - 8pm weekdays, and 9am - 6pm weekends and bank holidays. A temporary walk-in centre is available at the Halton Direct Link, Brook Street, Widnes. This is open between 9am – 5.30pm Monday to Friday, and 9am – 1pm Saturday. 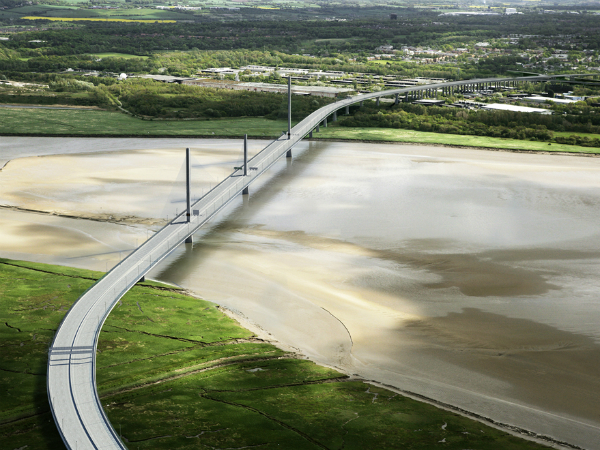 If you don’t register with Merseyflow and cross the new bridge, you will need to pay the full toll rate by 11:59pm the day after you travel, or face a penalty charge notice of up to £60. If you have successfully registered with Merseyflow but have not yet received your sticker, you will be able to use the bridge for up to seven days before your sticker arrives. You will not be charged extra for any crossings made during this seven-day period. Once you receive your sticker please attach it to your windscreen as soon as possible.